Dr. Ridenour received a Bachelor of Science in Nursing and a Master of Science in Nursing from the College of Nursing, University of Colorado, Denver, and completed her Doctor of Philosophy in Human Development and Family Studies at Texas Tech University, Lubbock. Dr. Ridenour’s clinical care experience includes nursing positions in critical care, ICU, med-surg, primary care, public health and school health. She began her academic career in nursing education at the University of Colorado and continued it at Texas Tech, where she was one of three faculty members involved in starting the College of Nursing. She then served as Dean and Professor at Illinois State University College of Nursing. There she led the transition from a freestanding, private nursing college to the first health professions college on a large state university campus. Immediately prior to joining Goldfarb, she served as Dean and Professor of the University of New Mexico College of Nursing, Albuquerque. In addition to her academic leadership roles, Dr. Ridenour served as a Robert Wood Johnson Health Policy Fellow, Institute of Medicine, in Washington, D.C., where she worked with the United States House of Representatives Committee on Ways and Means. She is the recipient of two Fulbright-Hays fellowships from the International Center for Arid and Semi-Arid Land Studies, participating in study tours of Egypt, Jordan and China. Additional international experience includes work in Peru, Thailand, Mexico, Cuba, India, Sri Lanka and Costa Rica. 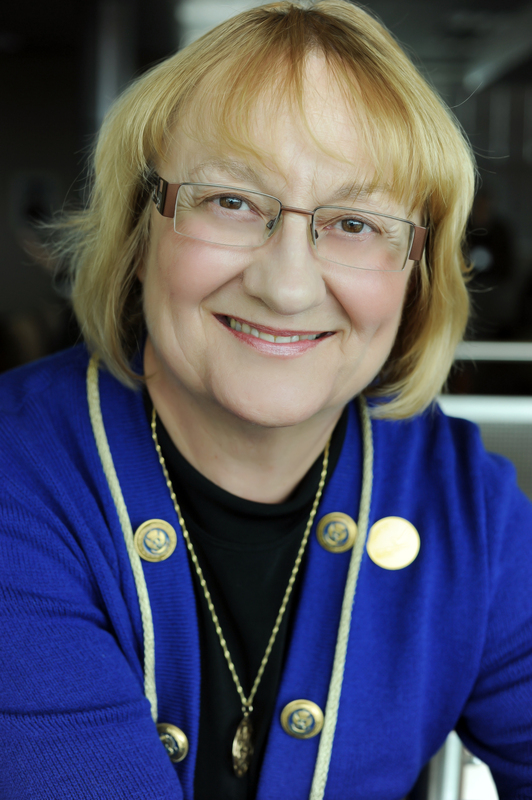 Dr. Ridenour has held leadership positions with numerous national professional organizations, including the American Nurses Association, American Association for the Advancement of Science, American Public Health Association, Sigma Theta Tau International Honor Society of Nursing, Society of Primary Care Policy Fellows, National Organization of Nurse Practitioner Faculties, and Centers for Disease Control and Prevention.